From the thirty-two canvas Campbell's Soup Cans to the Marilyn Diptych, Andy Warhol's silk-screen prints are the epitome of Pop Art: witty, gimmicky and unafraid of repetition. Obsessed with consumerism and the cult of celebrity, Warhol exalted the "surface of things" – and yet he was a man of deep complexity. 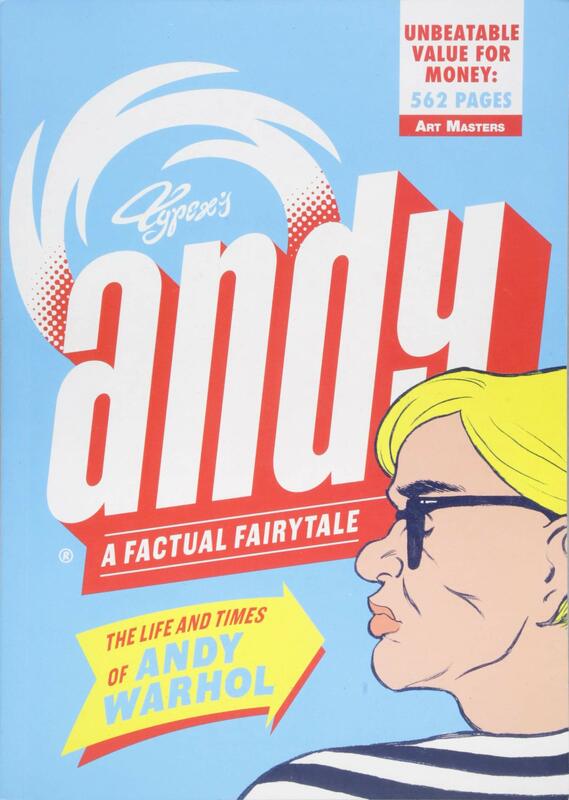 Taking in Warhol's early career as a commercial illustrator, his relationship with the Velvet Underground and the development of his own instantly recognisable style, Typex's Andy is an exhilarating portrait of a transcendent artist and a master self-publicist. Intensively researched, this 568-page graphic novel--with silver edgestain on the pages―is the first to tell the complete life story of the iconic pop artist. Typex is a comics artist and illustrator. His first graphic biography, Rembrandt, was commissioned by the Rijksmuseum in Amsterdam and published in English by SelfMadeHero. He has illustrated numerous children's books and his illustrations frequently appear in national newspapers and magazines. He lives in Amsterdam.